If you’re looking for a solid brunch spot in RVA, search no more. 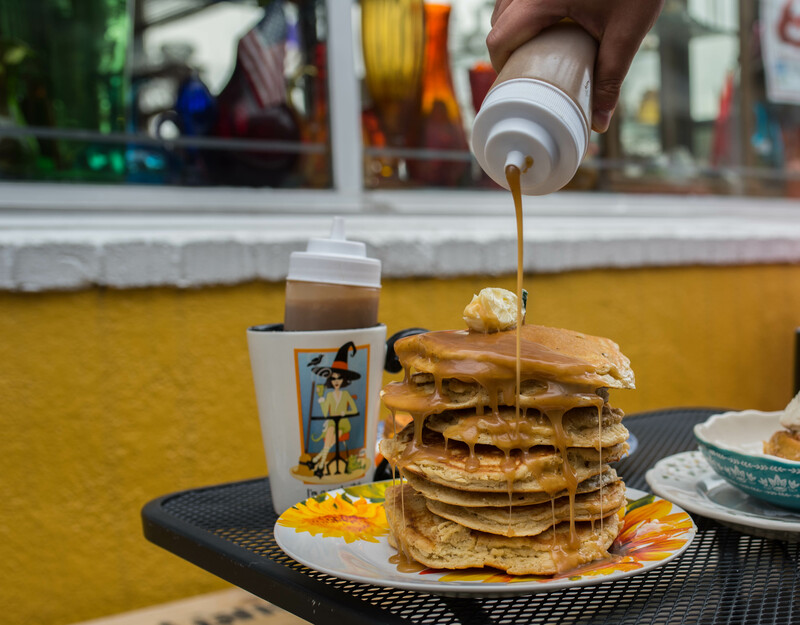 We’re talking about the top 4 best brunches in Richmond today so prepared to be wowed, and make sure you grab a napkin because you may or may not start drooling on yourself. So, without further ado, let’s get to it and kick things off with Sub Rosa Bakery. Ermergerd, Jesus take the wheel! 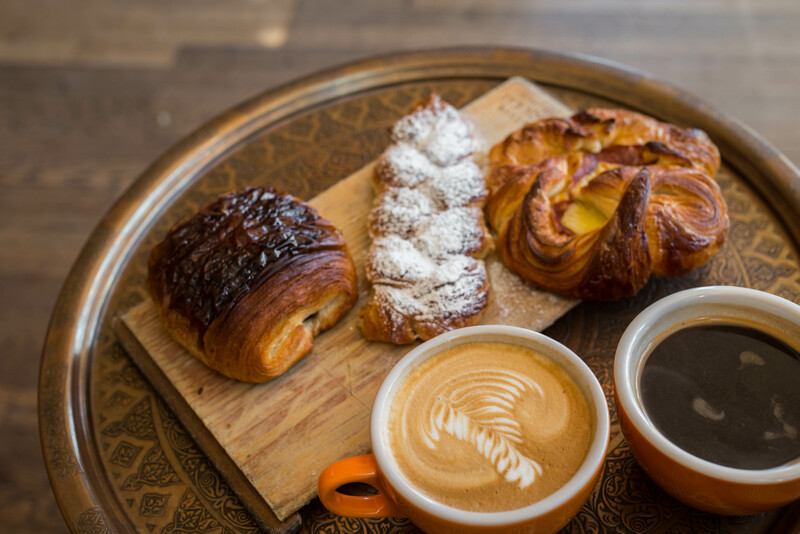 We can’t even begin to tell you guys how freakin’ delicious their pastries are. They’re SO good, that you may even shed a tear or two. They bake everything in their wood fired masonry oven, and they use organic fruits, meats, and veggies whenever possible. The staff’s very nice, and the space is flooded with light. There aren’t too many tables, and there’s almost always a line so get here sooner than later. You honestly can’t go wrong with any of their noms, but their Pain Au Chocolat? It’s what dreams are made of. Perfectly flaky on the outside. Light and buttery. Filled with just the right amount of chocolate. So good that we can’t even type complete sentences. Alright, so this isn’t exactly IN Richmond per se, but it’s close enough for us to include it on our roundup. It’s located on 6935 Lakeside Avenue in Henrico, which is only about a 10 minute drive so you can uber or carpool with your buds. The vibe here’s very fun, and the food’s second to none. They have a ton of creative dishes to choose from so go wild. Knock A Lil’ Louder Sugar Buns? Yes please. “Bang Bang on the Door” Benny? Yes please. Tj’s Shack Stack? $1 per pancake? Oh, helllll yes. We got 8 because #treatyoself. They came out piping hot and tasted like magic, and our lovely waitress brought us made-from-scratch caramel sauce. ‘Nuff said. Just get there! Where do we even start? This ridiculously nomtastic restaurant is located on 111 E. Grace Street, and it’s worth all the hype and then some. Refinery29 said, “this is food that would make your bubbie proud,” and we gotta say, yes it totally would. They have an impressive menu, but we went straight for their speciality sandwiches because they looked so damn delicious. We ended up ordering a couple different things, but our favorite by far was their reuben. 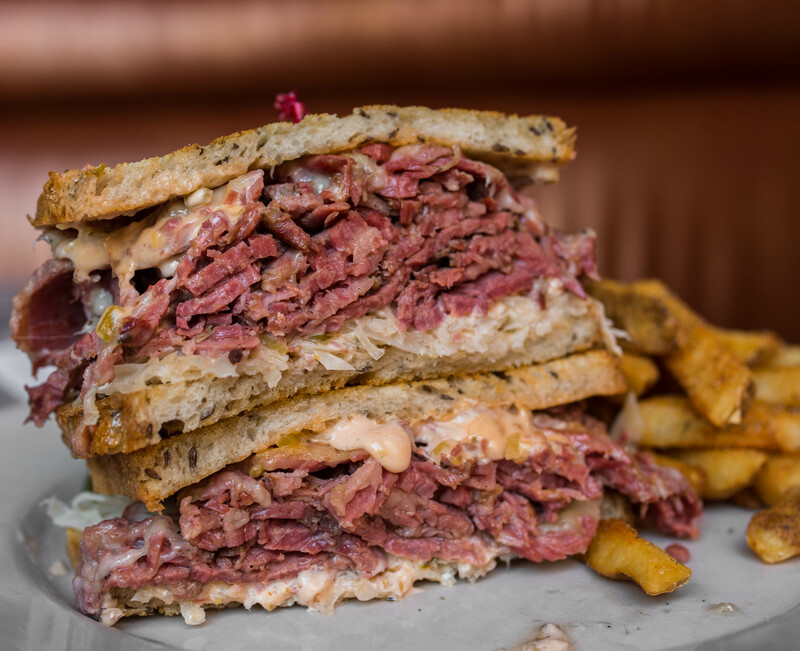 For $13, we got a ginormous sandwich with the freshest corned beef we’ve ever tasted with cooked-to-perfection fries that came out piping hot. Well done, Perly’s, well done. If you’re in a rush, just order a bagel and some schmear to go. We tried their garlic bagel ($3.50) with veggie cream cheese, and it was on POINT. Last but certainly not least, Citizen. If you look at their site, their tagline’s “fresh, creative, seasonal,” and that’s exactly what they are. We were beyond impressed with their brunch offerings, and we honestly can’t wait to go back. 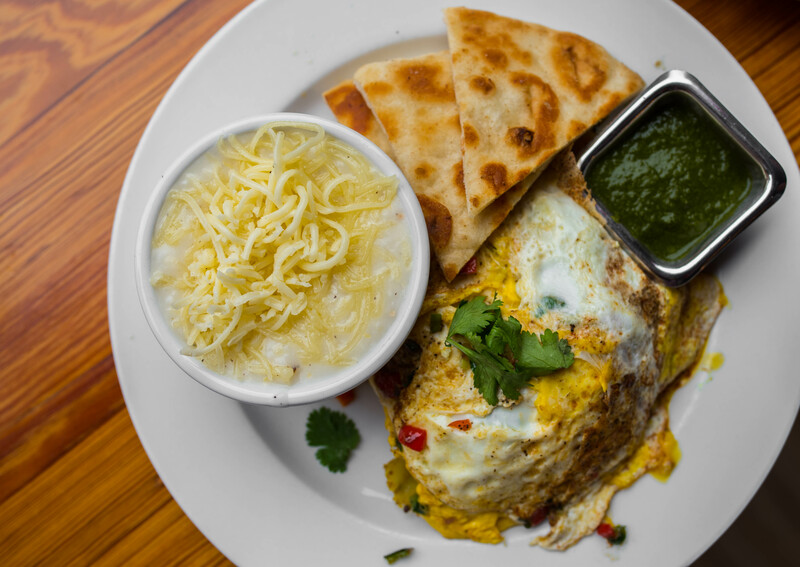 Literally everything they have sounds amazing, but a definite must-try is their Disco Eggs: 2 fried local eggs with green onion, peppers, cilantro, curry and chili powder over masala potatoes, served with toasted flatbread, green chutney and a side of your choice aka Byrd Mill Grits with cheese. There are other delish options available, but these were life changing. So, go ahead and get them, and remember to come back and thank us for making your tummies oh so happy. And that’s a wrap for today, Nomsters. We hope you enjoyed reading all about the best brunches in Richmond for our latest. We still have more RVA content to share so keep and eye out, and check out our travel tab to see more from our adventures across the globe. Until next time, friends!